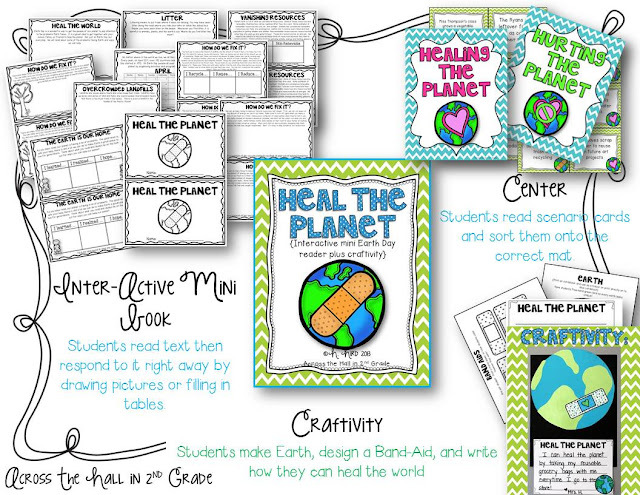 Across the Hall in 2nd: Heal the…errrr…Planet? Anyways…I’m going to try to make a long story short. But then I did some extensive research a Google search, and I figured out that phrase is pretty much trademarked, and that the Jackson Estate will come after me. And…Ain’t Nobody Got Money Time for That! This unit is short and sweet because Earth Day is only one day. Scratch that, Earth Day is every day…but if this holiday comes and goes as fast as every other holiday did this year, I have about thismuch time to teach it. Way back when I made my Christmas Around the World Interactive Readers I discovered that they’re the perfect thing to hold my kiddos’ attention. They read important information, and then they respond to it right away. They have fun, and I sneak in a little learning! Those are just a few of the pages. Your students will either draw a picture based on what they read, or fill our information in a chart/table. Students read the scenario on each card, and sort them onto the correct mat: “Healing the Planet” or “Harming the Planet”. Simple but effective. Do you sense a theme? Oh, and of course there’s a craftivity…because…why not? I’m giving one of these away on my Facebook page. So head on over and enter! It ends tonight! 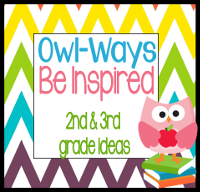 Click here to check it out on TpT! Enjoy the rest of your Sad/Happy Sunday! adorable!!!! and you are cracking me up! This looks great! Your students are going to have a great time doing this. Wish I was as creative as you! Oh this is adorable! What a beautiful and kind activity the children can do for Earth Day! Ahh...if we could all do our part and be Earth Dr.'s! Sorry you're sad about going back tomorrow. Going back is difficult sometimes, especially when the weather is really starting to become beautiful! Hope you first day back is a good one.